On a hot day in the beginning of July, a lot of music and movie professionals came together to create a beautiful live (!) video clip for Canvas Blanco. If you haven’t heard of Canvas Blanco, keep an eye on their Facebook or check out their pre-release EP, A Premature Birth, on Bandcamp. Canvas Blanco is a band of which there are not nearly enough of in the Netherlands. I can only think of one, really. Their songs start to grow on you, as is often the case with really good music, I noticed. It takes a couple of listenings to get familiar with the music and to really appreciate the intricacies of the songs. made for some beautiful white light. Everyone was motivated to make something awesome. Perfect conditions. Oranjerie from the outside. Photo by Erika Bordon. Although there are many similar projects where a band is recorded in a live setting, I have not come across one like our project. The concept was created by Arjan de Wit. We did a pilot last year, with Book of Eli – Sturdy Wine (check out the result here), and plan to keep on making video’s like this. We aim to make it feel as if you are walking right through the performance. 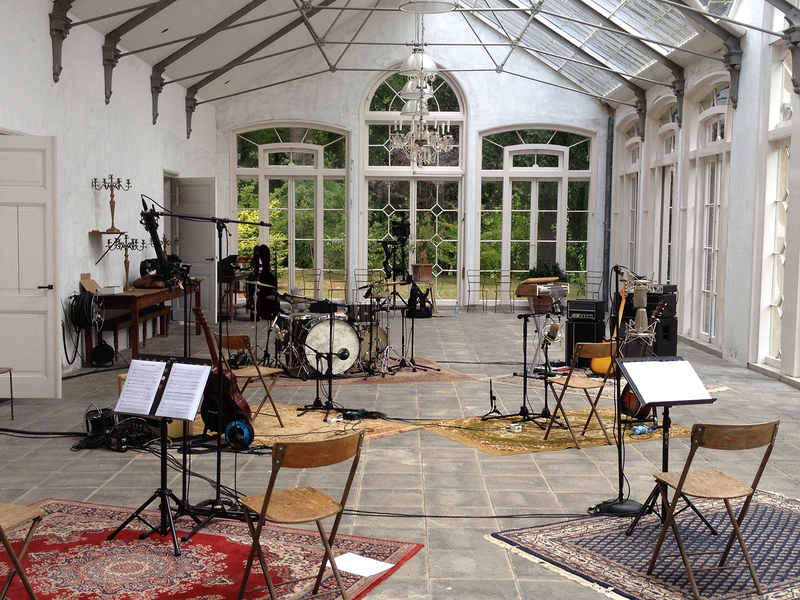 Each video takes place at a special location and is recorded completely live. For me, the special thing about this project is the way many different professionals collaborate, people who know what they are doing, which results in something amazing. Not just the clip itself, but also the experience. My part in this whole project was the arrangement of the song. I combined classical instruments (string trio, woodwind duo and Ondes Martenot*) with the band, existing of 2 singers, 2 guitars, drums and bass. The way this combination works together in the song, gives a somewhat alien feel to ‘City’ at some points, and at other points sweep you up and be a comfortable rich sound. Getting these classical and pop musicians, with their different backgrounds in music, play together in a musical way is a lovely thing to work on. The video was shot by Moeders Mooiste, in collaboration with director Lilian Sijbesma. The audio recordings were done by Room Service Music (that’s Arjan and me) in collaboration with 4uss Productions. Honourable mention for Madelon Brouwer, who did the catering. Follow Canvas Blanco Music on Facebook to see the video clip as soon as it is launched, next September! *The Ondes Martenot is an early electronic instrument, related to the Theremin. It was often used by Olivier Messiaen and is nowadays often used by one of my heroes, Jonny Greenwood, in his solo work and in his work with Radiohead. I might just write another blog about this strangely interesting instrument.